Orange You Glad It’s The Weekend? Orange you glad it’s the weekend? I am (because I can finally see my non-teacher friends) even though I’m trying to savor every last day of my summer break. Orange screams summer like no other. 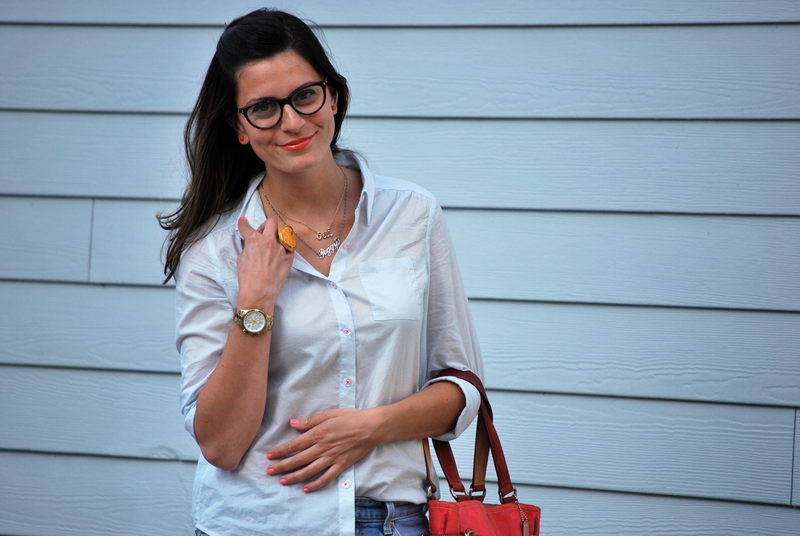 From the neon thread on the buttons of my button-down to my nails and lips – I apparently am screaming for summer to linger as much as possible AND I’m wearing an orange ring with an actual dried orange! It’s all in the details. What’s your favorite go-to summer color and any fun weekend plans?